Embrace the (Kraft) Single life! But remember, THERE ARE NO BAD FOODS. Only bad relationships with foods, that stem from society’s need to guilt trip us. Let me tell you though–There is even nutrition in our beloved friend, the Kraft single! The Kraft singles cheese sandwich made and eaten by a reader. 20% calcium, 2% vitamin A, AND protein? Awesome! 1. White flour is fortified with many essential micronutrients. We’ve discussed it before in the OREO post. 2. Each Kraft single contains 20%!!! of your daily calcium needs, 2% vitamin A, and 3 g of protein!!! Check out the Kraft single nutritional info! And she lived happily ever after, did not consume Kraft singles every day, but was not going to feel guilty about the occasional orange square either! What’s your opinion on Kraft singles and other cheese products like Velveeta, or Easy Cheese? I have read many-a-health-blogs that suggested you scrape the icing off a piece of cake before eating it to save calories, save fat, save sugar. And to that I say, save it for what? Save it to ingest in some other form that is not the delicious frosting on top of my cake? Save it for after the party so I can pride myself for snacking on an apple and peanut butter instead? The idiom “Icing on the Cake” came into existence because it is the perfect example of “something good that is added to another good thing”. But our over-obsessed health culture today is rendering this expression meaningless. 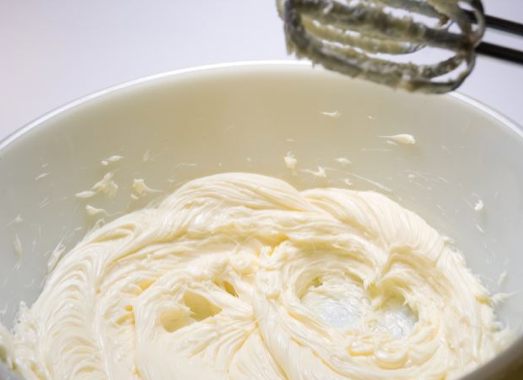 Icing, or frosting, is becoming synonymous with “bad”, “unhealthy”, “fattening”. And that is true if you choose to look at it that way. Or you can choose to look at frosting as what it is! A simple mixture of sugar, dairy and butter–all of which are FOODS with nutritional value!! I’ve discussed sugar and dairy in the “Ice cream is good for you” post, so let’s focus on the butter component of icing. Or frosting. Whichever you call it. 1. Butter is a fat. It is not what makes you fat. It is a TYPE of fat. Fat is essential for survival. 2. Butter is rich rich RICH in Vitamins A, E, D, and K2. 5. Linoleic acid. <—read about it. it’s cool stuff!!! 6. THE benefits of BUTTER list goes on and on and on..
Have your cake, eat it, AND the icing too!!!!! 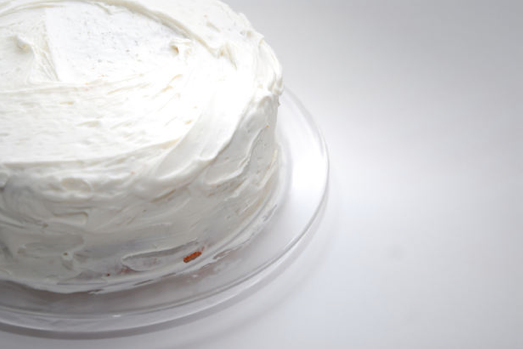 And now for today’s relevant, yet irrelevant question: What is your ideal cake:frosting ratio? So you ate a few Oreo cookies at your office party, are now on a sugar high and bouncing around the cubicle because of the extra carbohydrates you just consumed. No surprise right? Oreos=Cookies=Sugar=AL:KJ:LKJAD!!!! A serving of Oreos (three cookies) contains about 10% of your daily recommended IRON intake. Huh?? That’s right. Milk’s favorite cookie has iron. How?? If you take a look at the first ingredient list after sugar, you’ll see the words “Unbleached Enriched Flour“, followed by a whole list of micronutrients. The U.S. is one of many countries that mandates fortification of industrial milled wheat flour with nutrients like folic acid and iron, as a public health initiative to prevent neural tube defects in newborns and conditions such as anemia. Check out the full list here. Click the image to see the ingredient list and nutritional info for Oreos! Cool right? In fact, most of the packaged products you buy (bread, pancake mix, tortillas, cookies, crackers) are made from enriched flour, which means it is fortified with essential nutrients! That means Oreos not only include iron and folic acid (aka vitamin B9), but vitamins B1 (Thiamine), B2(Riboflavin) and B3(Niacin) as well. Check out the Oreo’s nutrition label! Share this fun fact with all your Oreo-loving friends! Happy snacking! “Want fries with that?” YES! The french fry. The poor little guy who at heart, is an innocent potato. Fries share a name with the cooking method used to create them. Frying foods require some sort of fat–which is essential to life. An innocent potato cooked in hot oil. Canola oil is popular for deep frying due to its high smoke point. Click the picture for its nutritional benefits! Oil is just another way we obtain fat, one of the three macronutrients needed for survival. We need fat to absorb fat soluble nutrients (vitamins D, E, A, K), protect organs and nerves, regulate hormone production, and for energy and growth. Fat is NOT bad! (<– working title of an upcoming children’s book?) Repeat: Fat is NOT bad! A bowl of potatoes. Did you know potatoes contain more potassium than bananas? Crazy! Most people would be surprised to find out that potatoes contain LOTS of VITAMIN C, which we have all come to know as a powerful sidekick to our immune system. In fact, check out McDonald’s nutritional info for the Vitamin C content in their french fries. WOW. Badabababa–I’m lovin’ that! These golden arches deliver Potassium, Vitamins C + B6! And the benefits of potatoes do not stop there. The french fry (our potato friend) contains great sources of Vitamin B6 AND Potassium as well!! Vitamin B6 belongs to the family of B-complex vitamins and is important for brain function, heart health and assisting vitamin B12 (found in animals products like ice cream!) in making healthy red blood cells. Potassium is an electrolyte that keeps our heart and muscles pumping strong! Who knew french fries were full of all these NUTRIENTS! Have you ever tried to make your own at home? Why? Because when you break it down, it really just is milk and sugar. Milk and sugar. The extra serving of calcium I had last weekend. There are MANY benefits of milk. Click the picture to find out more! Cow’s milk is a dairy product and an EXCELLENT source of calcium, which is an essential mineral for a strong, healthy skeleton and teeth. Calcium is important for us to maintain bone density, ESPECIALLY for women as we are at a higher risk for osteoporosis. If we do not get enough calcium, our body strips it away from our bones (NOT good!). 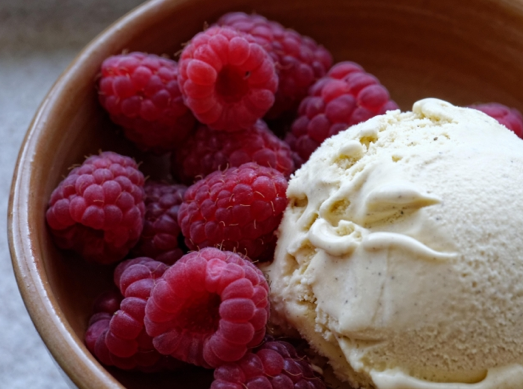 Vitamin B12 is naturally found in animal products (plant foods do not contain Vitamin B12, unless they are fortified), so its no surprise that ice cream can provide a good supply of this micronutrient! It is important for making DNA, healthy red blood cells, and supporting our nervous system. Vitamin B12 deficiency is bad, bad, bad. Now I could go on and on about the benefits of milk, but let’s move on to the other main ingredient of ice cream–that delicious, sweet SUGAR! Every wonder why you feel so energized after a sweet snack? Because sugar is a carbohydrate! 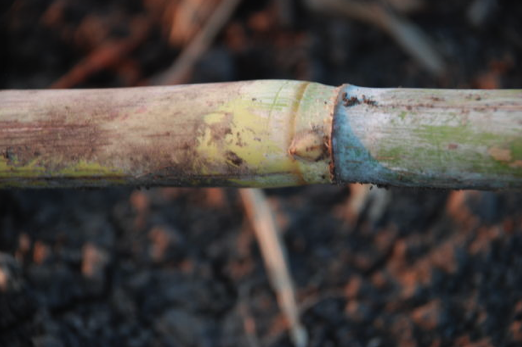 The majority of the sugar we eat comes from the sugar cane, a giant bamboo-like plant. 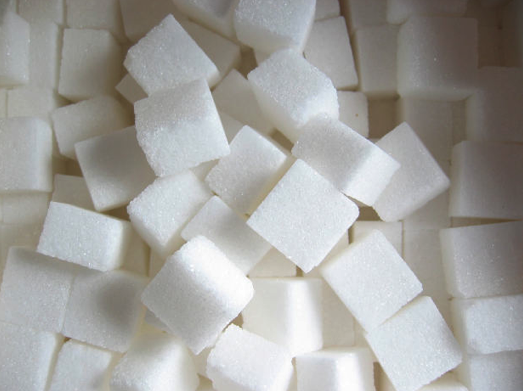 Scientifically, table sugar is known as sucrose, a molecule made up of two simpler sugars, fructose and glucose. Sugars fall into the macronutrient group– carbohydrates. Why does our body need carbs? Sugar gets converted into glucose and is readily absorbed by our cells to give us an instant lift. We NEED sugar to survive, and for our brains to function at optimal levels! 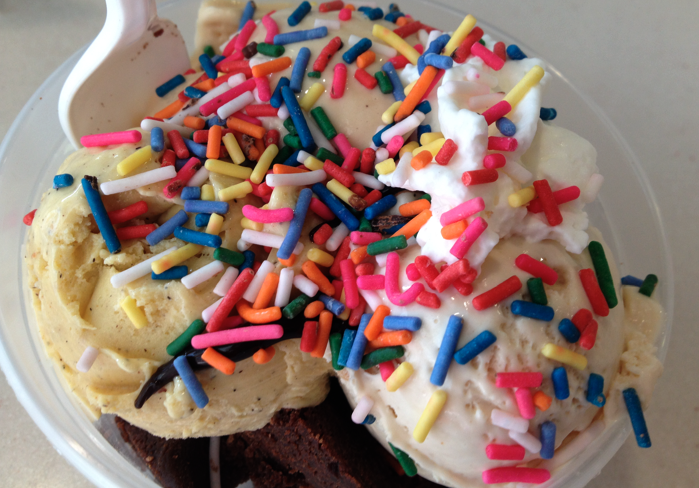 Thanks Ice Cream, for being so good to me! And now I will ask an irrelevant, but relevant question: What’s your favorite flavor? ?